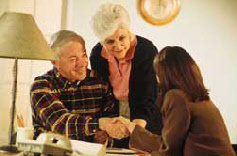 Senior Freedom Experts Have Been Helping Seniors With Texas Reverse Mortgages Since 2002"
7/8/2014 - Marketing, New PLF's, lender approvals, Current LIBOR index, recruiting, ReverseVision, website tools. 7/26/2016 - Changes to0 Credit Analysis and easing of credit requirements, If tax returns are required, review then up front - NRMLA & HUD rule proposals, Alternative networking sources. 8/16/2016 - New lead program, Bankruptcies, Income requiring tax returns, buried gas storage tanks within 300' of a property, If best use of a property is commercial, SS Income no longer requires second form of proof of income, Maximum maregin provides maximum credit line growth for LOC, Over Disclose closing cosats and Broker comp on proposals, Taking pictures of docs, Loan transfers and requirements.